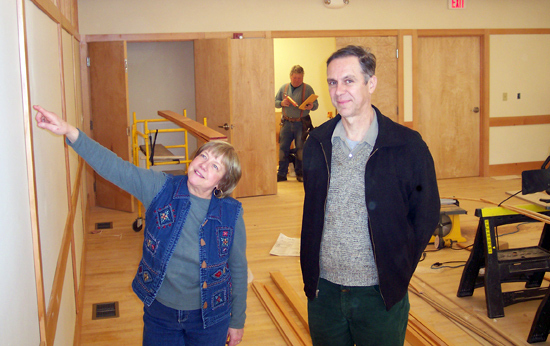 THE FINAL TOUCHES: The Mansfield Freeman Center for East Asian Studies new west wing addition will open at the end of January. 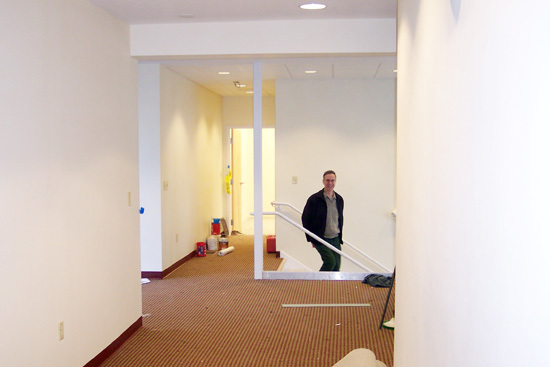 Construction began in August 2005. 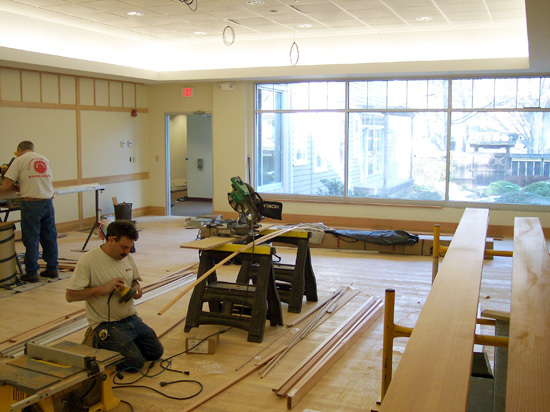 Construction crews work on the new seminar room, which overlooks the Freeman Center’s Japanese garden. 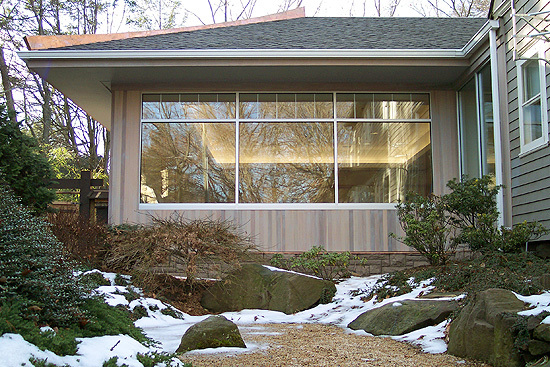 The seminar room will be used for classes up to 25 students, East Asian Studies’ events, dinners, conferences and its Colloquium Series, Japanese Tea Ceremonies and tai chi classes.